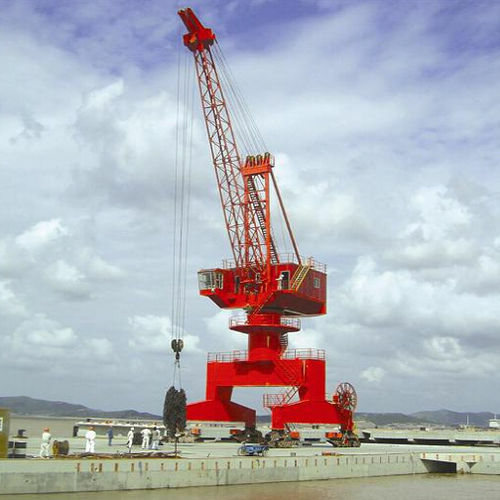 Fixed harbour portal crane has various applications, such as loading and unloading at port, material handing at dockyard, ship building and repairing yard, metallurgy industry. 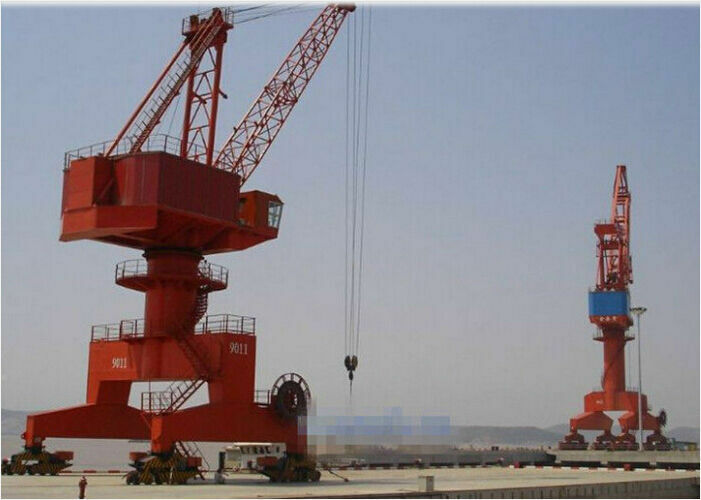 The four link type portal crane jib crane is composed of frame, lifting mechanism, luffing mechanism, slewing mechanism, traveling mechanism, spreader device (grab, container spreader, hook), electrical equipment and other aiding devices for safety. The applied rigid rack and screw lever luffing mechanism make sure a constant working state. 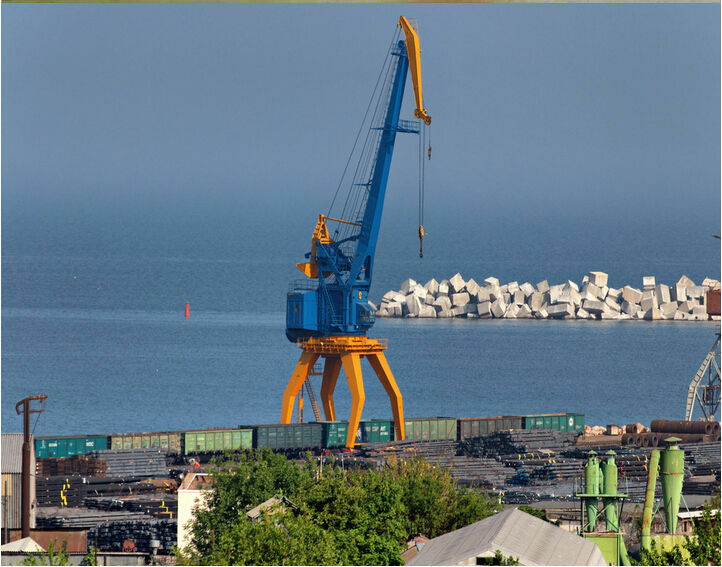 Fixed harbour portal crane design and manufacturing standards: Specification for the harbor portal crane (GB/T17495-1998), Safety rules for lifting appliances (GB/T14406-1993); ISO standards, FEM standards and JIS standards.